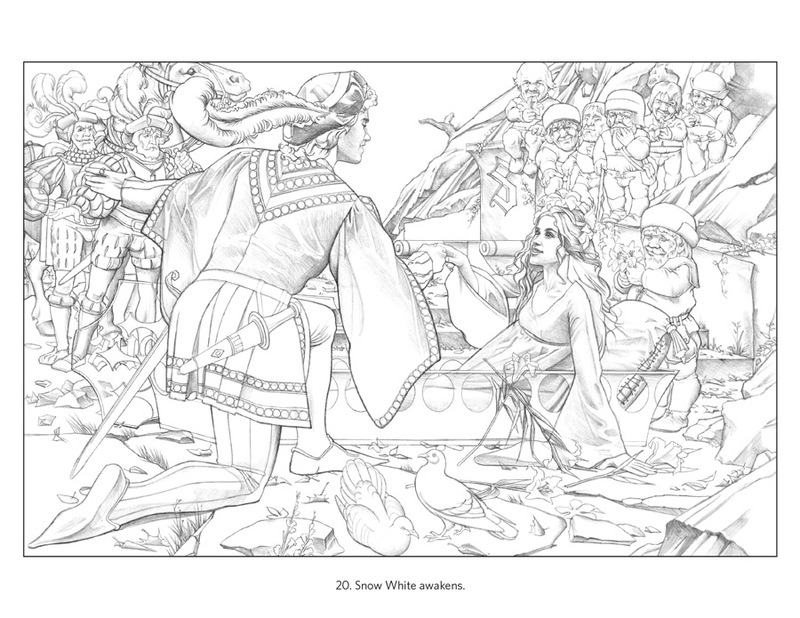 Inside this coloring book are twenty-one black-and-white drawings that Santore made in preparation for his watercolor illustrations for Snow White. 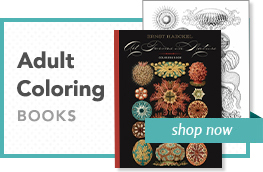 The lush, full-color illustrations are reproduced on the inside of the front and back covers. We’ve also included two blank pages at the end of the book, so you can draw and color your favorite characters from Snow White, or perhaps make up a fairy tale of your own. Snow White’s mother dreams of having a child. 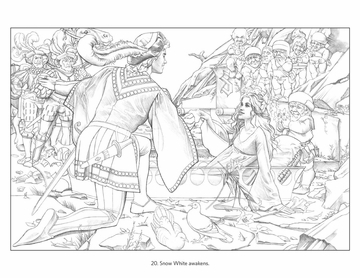 The queen orders a huntsman to take Snow White into the woods and kill her. Snow White begs the huntsman to spare her life. The huntsman frees Snow White, and she runs through the woods. 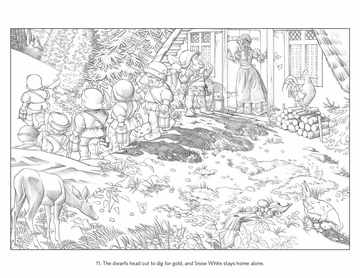 Snow White finds a cottage with seven little chairs and seven little beds. Snow White falls asleep in the cottage. The seven dwarfs return home. 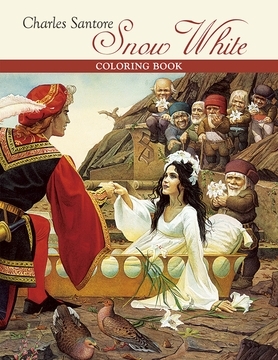 In the morning, Snow White tells the dwarfs what happened. 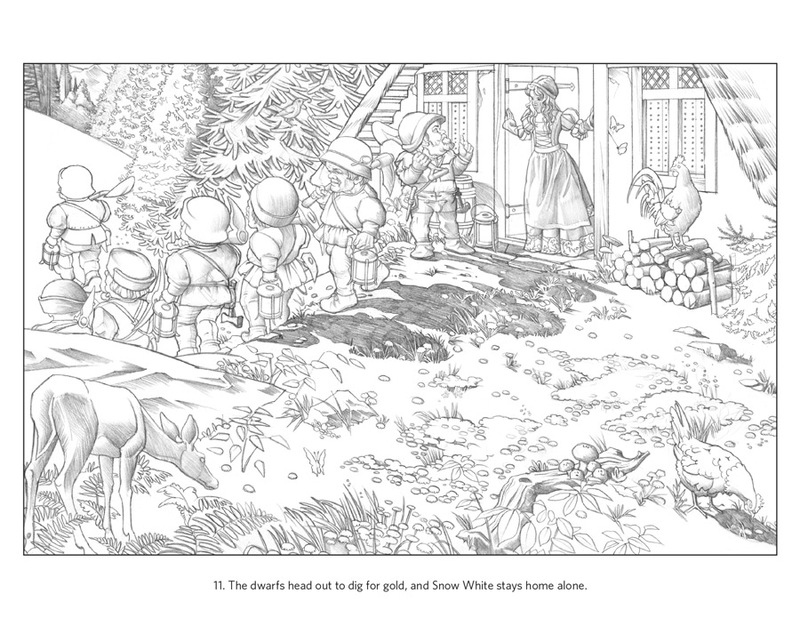 The dwarfs head out to dig for gold, and Snow White stays home alone. The queen tricks Snow White into letting her into the cottage by showing her lace. The queen tricks Snow White again by offering to comb her hair. The queen prepares a poison apple to kill Snow White once and for all. The queen fools Snow White by putting poison in only half of the apple. Snow White takes a bite of the poisoned apple and dies. The dwarfs mourn Snow White for three days. The dwarfs carry Snow White’s glass coffin to the top of the mountain. A prince asks the dwarfs if he may take Snow White back to his palace. The prince and Snow White get married.